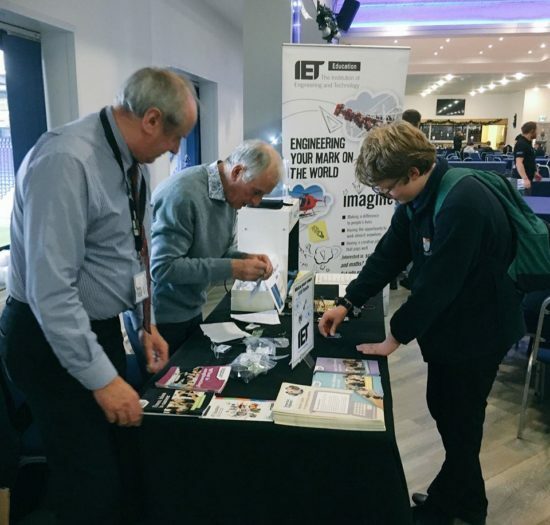 Engineering Your Future Warrington 2018: Inspiring Young Engineers! 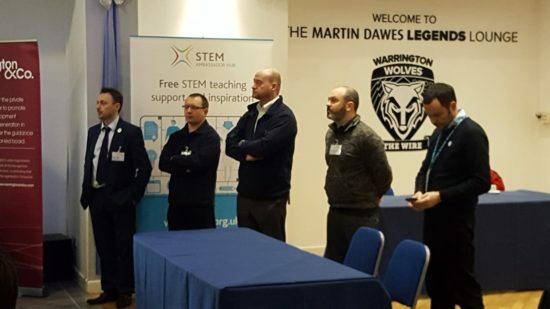 On Thursday the 22nd of November 2018, All About STEM facilitated Engineering Your Future Warrington at the Halliwell Jones Stadium. A sensational hands-on careers event for budding engineers! 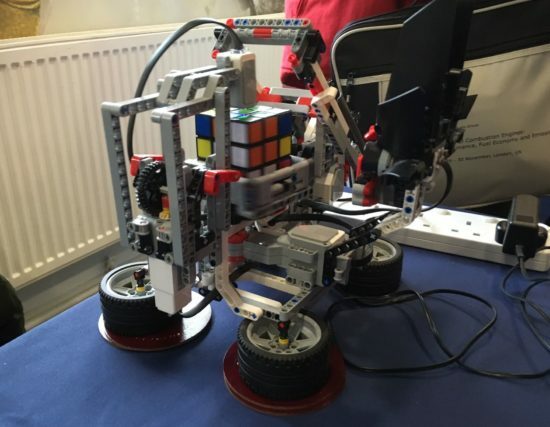 Now in its eighteenth year in London and its twelfth year in the North West, Engineering Your Future has become a key date in the diary of North West Secondary Schools and Sixth Form Colleges. This series of one day career events has been established to provide an opportunity for attendees to see that engineering is a career worth pursuing and help them make an informed choice. Engineering Your Future is jointly coordinated and sponsored by the Institution of Mechanical Engineers, the Institution of Civil Engineers, the Institution of Engineering and Technology and the Institution of Chemical Engineers and fully supported by All About STEM. 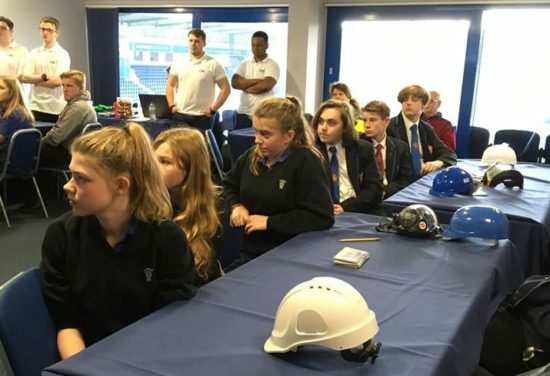 The event was split into 5 workshop sessions providing insights into areas including Mechanical, Civil, Electrical/Electronic, Chemical & Nuclear Engineering; workshops were provided by Costain, CAL International, John Crane, Atkins Global & Essar. Thanks to these inspirational companies and organisations, students had the chance to become an engineer for a day. 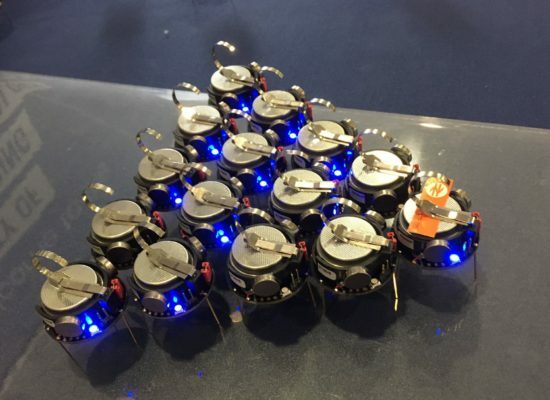 In their role they considered real-life problems, built components & equipment, designed solutions and tested structures – there were plenty of games and challenges too! Every session was interactive and practical and students were encouraged to investigate and experiment. Along with professional representatives from each workshop, a team of expert STEM Ambassadorswere on hand throughout the day to support each session. There was also an opportunity to attend a market place offering further information on ‘routes into engineering’. 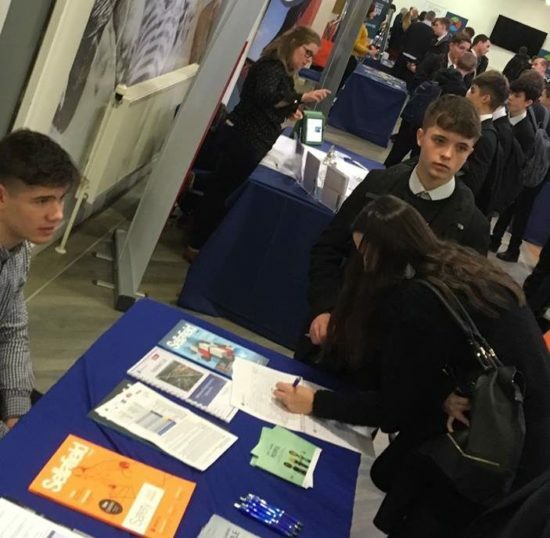 Businesses and educational organisations exhibited throughout the conference hall with exciting activities and information on courses, apprenticeships and careers. Everyone enjoyed model making, Kilobots and racing cars with their mind. Not forgetting the chance to beat a robot in the Rubik’s cube challenge! All About STEM Managing Director, Michelle Dow said “What a fantastic event, a huge thank you to everyone involved and all of our schools! 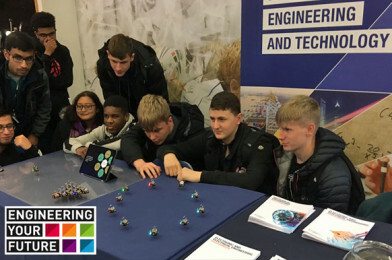 Our Engineering Your Future Warrington & Liverpool events are always popular as both students and teachers can benefit together as they increase their awareness of the broad scope offered by a career in engineering, the various routes into engineering, what they can expect and what it entails. 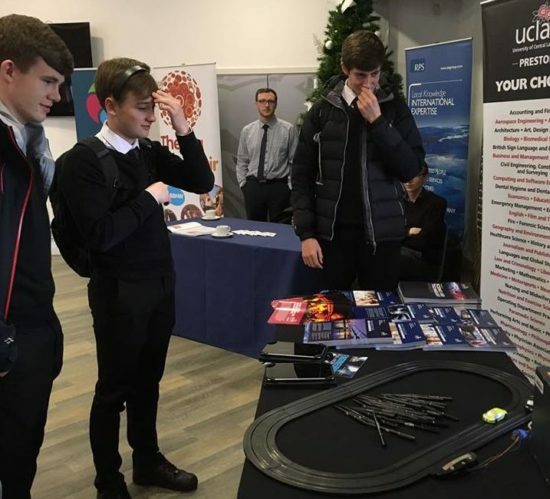 They are inspired by our qualified and experienced engineers, STEM ambassadors and technicians who present and exhibit on the day and can find out more about pathways, apprenticeships and qualifications at the careers marketplace.